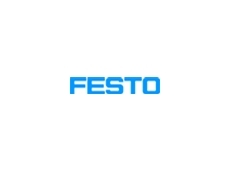 Festo is a leading global supplier of pneumatic and electric drive technology with a comprehensive range of products and services for industrial and process automation from individual components to complete systems. 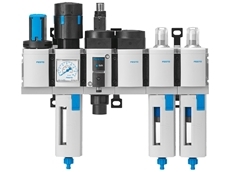 Festo's portfolio of products covers a wide-range of pneumatic drives, electric drives, valves and valve terminals, sensors, process valves, compressed air preparation, handling and vacuum, modular positioning and proportional technology. 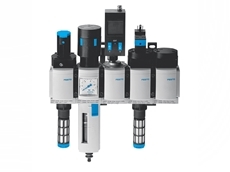 In the processing industry, Festo has been a partner in providing solutions to increase efficiency and simplifymaintenance. This has been achieved by using our reliable and clean design positioning cylinders. Positioning drives with external feedback linkages are still being used in the process industry, however the feedback linkages are extremely susceptible to damage and malfunctions due to the harsh conditions they are subjected to. This leads to increased costs in maintenance and lost production time. 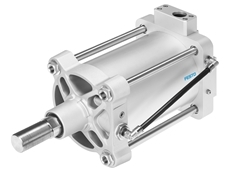 The advantages of the Festo solution is that it combines the function of a linear actuator, position controller and displacement encoder all securely enclosed within the cylinder barrel.This solution protects the critical system components from humidity, moisture, dust and aggressive atmospheres. The actuator only requires a self-teach initialisation sequence during commissioning, after that it’s virtually maintenance free. DFPI highlightsEverything in one housing - robust, compact designHigh IP ratingHigh level of corrosion resistance for use in aggressive environmentsSelf-initialisation - easy commissioningFail safe position selectionFesto proximity sensors can be used with additional sensing of intermediate positionsDFPI options with no external linkages:Internal feedback and positioner (ISO 15552 with compatible accessories) suitable for:Damper controlLouver controlClam shell doorsBurner controlTLO ploughsKnifegate valvesInternal feedback with external positioner (external positioner can be mounted directly to a cylinder or remotely if required) suitable for the same applications above. Internal feedback and positioner (ISO mounting pattern on face to suit process valves) suitable for:DART valvesHopper slide gate controlKnife gate valvesFesto also provides system solutions to enhance the benefits of using the DFPI positioning cylinders, these include:Control panel building for local auto or manual controlValve terminals with input and output modules to suit many network protocolsProcess valve controlMost of the applications for smart positioning cylinders can be found in the processing industry such as mining, water/wastewater, mineral processing and in the food sector. 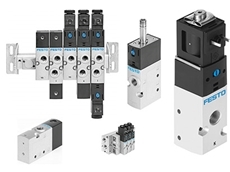 Festo has offered solenoid valves for many years, however with the new VS series we are able to offer a robust, high quality product at an excellent price. 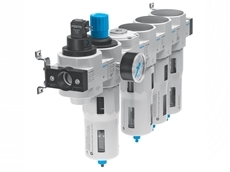 The complete range consists of solenoid valves with or without solenoid coils, pneumatically actuated valves and pre-assembled valve manifolds that are ready to install. Highlights of the VS series Reliable, heavy-duty valve with a long service lifeSizes: 20 (21mm) G1/8, 25 (26.5mm) G1/4 & 30 (31mm) G3/8Valve functions: 3/2-way, 5/2-way and 5/3-wayFlow rate up to 2300 l/minNumerous mounting options and accessoriesUp to 16 valve positions on a manifold is possibleProtection: IP65 to IP67 Solenoid actuated valves - VUVS Individual valves for a wide range of operating voltages AC/DC Pre-assembled valves with 24V DC coils Manual override Rotatable coil in all directions Plug and cables available separately Numerous mounting options Pneumatically actuated valves - VUWS Individual valve or used in a manifoldWall mounted and foot mounted accessoriesInternal or external pneumatic springM5 pilot port Valve manifold - VTUS (Configure your own valve manifold and have it built by us) External pilot air supply via manifold reduces installation Isolators for easy set-up of several pressure zones Ideal for vacuum and low-pressure range applications Valves can be easily attached to the manifold with 2 screws for easy replacement 3 types of universal manifold designsThe series has been further expanded with a new cost effective option VUVS-LK…-S suitable for 24V DC only. 13/03/19 - The adaptive shape gripper DHEF from Festo is designed to pick up, gather and set back down objects of different shapes without the need for manual adjustment. Similar to how a chameleon's tongue grips insects, the DHEF adaptive shape gripper uses a silicone cap to precisely adapt to a wide range of geometries. The elastic silicone cap can fold itself over and grip objects of virtually any shape, creating a firm, form-fitting hold. When combined with a pneumatic drive, the adaptive shape gripper requires minimal energy for a secure grip.Formless, round, sensitiveConventional mechanical grippers available on the market can only grip specific components; however, the adaptive shape gripper stands apart for its extreme flexibility. It can even manage components with freely formed shapes and round geometries. The absence of sharp edges makes it ideal for gripping sensitive objects such as air nozzles or trim strips. In principle, the gripper can pick up several parts in one movement, for example, nuts from a bowl.This means that the bionic gripper can be used to handle small parts in classic machine building, in the electronic or automotive industry, in supply units for packaging installations, for human-robot interaction during assembly tasks or for prosthetic extensions in medical technology.Practical product characteristicsThe gripper has an elastic silicone membrane that is flexible and pliable. Once it is supplied with compressed air and the standardised robot interface with integrated air connections has been added, it is ready to be used as a practical automation component. The standard sensor slot for position sensing and the bayonet lock for easy replacement of the cap are additional useful features.Inspired by Nature The unique combination of force and form fitting of the chameleon's tongue can be observed when it is on the hunt for insects. Once the chameleon has its prey in its sights, its tongue shoots out like a rubber band. Just before the tip of the tongue reaches the insect, it retracts in the middle whilst the edges continue to move forwards. This allows the tongue to adapt to the shape and size of the prey and firmly enclose it. The prey sticks to the tongue and is pulled in as though caught on a fishing line. The Festo Bionic Learning Network with researchers from the University of Oslo used these observations when developing a prototype named ‘FlexShapeGripper’.For more information, please visit www.festo.com/dhef. 02/03/19 - Pneumatics is intrinsically a user-friendly technology and is set to become even more straightforward, versatile and flexible. 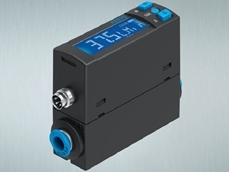 The brand new VTEM Motion Terminal from Festo propels pneumatics into the era of Industry 4.0 with apps that can replace over 50 individual standard components, thanks to the latest developments in piezo technology and software.The VTEM Motion Terminal is expected to revolutionise automation technology in much the same way that the smartphone turned the mobile communication market on its head a decade ago. 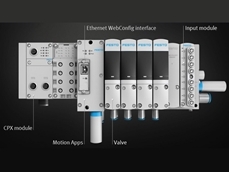 In addition to transforming pneumatic products into true Industry 4.0 components, the VTEM simplifies system design, reduces costs and offers greater energy efficiency.Festo predicts that the new method of function integration exempified by the VTEM – combined with software apps – will simplify the entire value chain, since only one piece of hardware will be required. Beneath the new Motion Terminal’s somewhat unassuming exterior and classic Festo product design lies technical refinement based on state-of-the-art information technology. True Industry 4.0Piezo technology, integrated stroke and pressure sensors – together with control via motion apps – open up entirely new perspectives for machinery and plant manufacturers. The fusion of mechanics, electronics and software featured in the Festo VTEM Motion Terminal will transform a pneumatic product into a true Industry 4.0 component, and enable flexible production. Changes in pneumatic functions and adaptations to new formats are controlled via apps by changing parameters. The integrated intelligent sensors for control, diagnostics and self-learning tasks will eliminate the need for additional components. Motion appsThe VTEM Motion Terminal has been launched with ten different functions via motion apps: from basic modification of the directional control valve functions to energy-efficient motion, and from proportional control to different motion profiles. What makes this so special is that the same valve hardware is used for everything. Thanks to the fast activation of new functions via apps, machine developers can create a basic machine type and then select the relevant apps on the fly, to equip it with the necessary functions and features to meet customer requirements. Further apps are already in development.Assigning functions via software has the added benefit of protecting against tampering and protecting know-how, since it is not possible to tell from the outside which functions the valves are executing. Maintenance is also simplified, as long lists of spare and wearing parts will be a thing of the past.Intrinsic energy efficiencyThe specially developed motion apps as well as the leakage diagnostic function save energy during operation. However, the energy-saving piezo technology for the proportional valve's preliminary stage also plays its part.The air consumption can be flexibly adapted to the requirements using the ‘selectable pressure level’ and ‘ECO drive’ apps. With the selectable pressure level, a digitally selected pressure can limit the pneumatic force to the level required for the application. ECO drive reduces the compressed air consumption to the minimum level required to achieve motion, provided no pressing or holding forces are needed in the end position. This enables savings of up to 70% compared with standard operation, depending on the application.Reduced costs and complexityFesto‘s VTEM Motion Terminal permits both fast and powerful movements and leakage diagnostics at much lower costs than current solutions. For example, fewer controllers are required compared with electrical solutions since one controller can control up to eight movements with the VTEM. Energy consumption is also reduced, and the required installation space is decreased by up to 65%. In a comparison of the technology, solutions with the VTEM Motion Terminal offer truly cost-effective alternatives for eight applications. 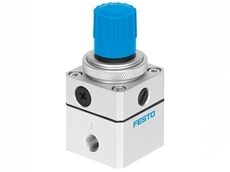 Instead of a valve, a pressure regulator and a pressure sensor (in other words three components), only one single technology – a valve – is needed.For more information about Festo‘s VTEM Motion Terminal, please visit www.festo.com/motionterminal. 19/10/18 - Festo introduces a new range of quarter turn actuators designed to set new standards in process automation.The modular, resilient and versatile DFPD quarter-turn actuators from Festo feature a rack and pinion combination to meet the many requirements of the process industry. Thanks to its versatility and flexibility, the DFPD can be used in a variety of sectors and markets. Its modern, simple and compact design impresses, whether it is used with ball valves, shut off valves or air dampers in the chemical, pharmaceutical or beverage industries, water treatment and other areas of process automation. Flexible in operating pressureThe single-acting version of this new quarter turn actuator is particularly compact and extremely modular. Key features include an optimised spring design allowing configuration in increments of 0.5 bar for more efficient use; nine different spring combinations meeting the most precise operating pressure requirements between 2 and 6 bar; rotation angle for standard sizes up to 90° and for sizes 40, 120, 240 and 480 rising to 180°; and corrosion-resistant surface coatings offering reliability and flexibility in harsh conditions. The basic version of the DFPD is suitable for temperatures between -20°C and +80°C. The low-temperature variant is designed for arctic regions and covers a temperature range of -50°C to +60°C. The high-temperature variant can be used at temperatures of between 0°C and +150°C. DFPD quarter-turn actuators can be mounted anywhere and the end positions can be adjusted by ±5° at both ends, ensuring high flexibility during operation.A complete package covering the entire value chainIn combination with the CMSX positioner, the DFPD is ideally suited for the analogue control of quarter-turn actuators, e.g. in dosing tasks. Furthermore, the sensor boxes SRBC/SRBE/SRBG enable simple digital control and full position sensing even outdoors as well as in potentially explosive environments. The NAMUR valves VSNC are certified worldwide in accordance with all the current standards while the robust pilot valves VOFC and VOFD are perfect for safety-oriented applications. The solenoid valves meet the highest safety standards (up to SIL3, explosion protection). 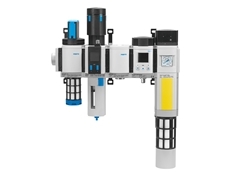 This allows Festo to provide complete automation of quarter-turn actuators for a large range of applications.For more information, please visit the Festo website. 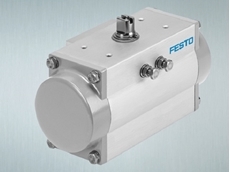 14/10/18 - The SFAH flow sensor from Festo allows for easy and cost-effective monitoring of compressed air use. Featuring an intuitive user interface with high output flexibility, the flow sensor gives a clear picture of your energy usage. 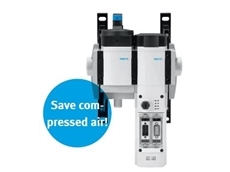 Combining high flow dynamics with a compact design, the SFAH flow sensor has been developed to measure non-corrosive gases and air.Festo’s SFAH flow sensors are designed for use in the general automation market, but particularly suited to applications involving small parts picking, consumption monitoring, air gap checking and leakage detection. 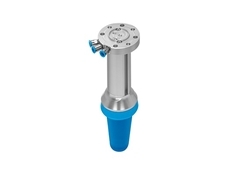 Operating at pressures between 0.9 bar and 10 bar, the SFAH offers an extended flow measurement range from 0.002 l/min to 200 l/min.Key features and benefits of SFAH flow sensors include accurate and reliable readings; robust design reducing susceptibility to disruption by particles and moisture; choice of straight, angular or rotatable pneumatic connectors offering great installation flexibility; user interfaces common across Festo’s entire flow and pressure sensor range, simplifying commissioning and installation; high level of in-built flexibility thanks to switchable electrical outputs including NPN/PNP, NO/NC and IO-Link that are easily selected from the intuitive menu; digital and analogue outputs; and direct programming via intuitive ‘teach’ buttons on the unit, or by using an IO-Link master and selecting parameters via a computer or PLC.Using the sensor with IO-Link, which stores all the sensor parameters, also allows for remote maintenance. If an existing sensor in the field needs replacement, the new sensor can be simply wired in and the IO-Link master can download the necessary parameters for operation. Additionally, the IO-Link master can offer a replication function for identical sensors. Just commission one sensor and copy the information to the rest; this eliminates the need to set up sensors individually, simplifying and speeding up maintenance, and reducing build and downtime.Each SFAH flow sensor is equipped with a high contrast, illuminated LCD colour changing display that provides a clear visual indication when the set parameters are exceeded. An inbuilt eco function ensures the backlight will only be on when the unit is in use or being interrogated, thereby saving energy, particularly where multiple sensors are used. The SFAH flow sensor is IP40 rated for use in general industrial applications and a range of accessories is available to protect the sensor in harsher environments.